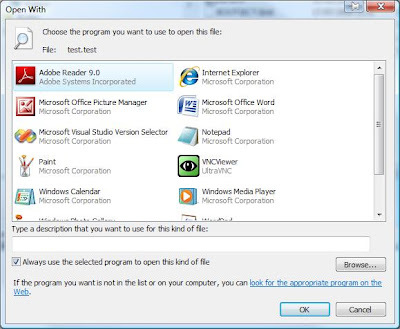 Deleting a user file type association in Windows Vista is a difficult task. You can change file type associations easily but you cannot delete them without modifying the registry manually. Let's say that you accidentally associated a file extension with an application and that you want to delete the association. 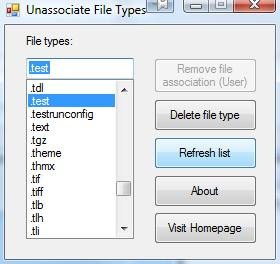 Run the unassociate tool, select the wrong file association and either delete the user association or delete the whole file type from the system. The necessary registry changes will be done automatically.